Celebrations are a collective remembering of events that are significant for groups and communities. They bring together within a given moment the past, the present and the future. They evoke gratitude for the past, strengthen commitment to the present and generate hope for the future. When we celebrate the 350th anniversary of the death of Vincent and Louise, it is not so much their death in itself that we want to remember. But their death as the culmination of their lives that left a mark in history because of what they stood for in their lifetime. They were icons of charity. They were two great prophets of charity. In their life stories, their letters and conferences Vincent and Louise come across as ordinary persons with their frailties and gifts but who were able to attain great heights of holiness. They show in a remarkable way, how the power of grace can transform fragile earthen vessels into efficacious instruments of the divine project. Vincent was an adventurous young man of rural origin who continually searched for wider horizons. He nurtured early ambitions for social promotion through the priestly ministry to help his family whom he dearly loved. He was gifted with an amazing capacity to enter into relations with a wide variety of persons – poor and rich, ecclesiastics and politicians, nobles and peasants, men and women, religious and lay. He would later put this gift to good use to realize his dream of serving the poor. Men of our time, who are constantly searching for “more” in life, can draw courage from Vincent’s life. Although Louise was born and raised with suffering as a constant companion, she did not allow this to deter her from pursuing her life goals. She was a loving wife, a devoted mother continually preoccupied with an only son. When she was widowed, she continued to reach out to others, especially the poor. Having discovered her life vocation with the help of Vincent, she became his faithful friend and collaborator. Together, they founded the Daughters of Charity, a radically new way of living feminine consecrated life in their time. Many women today- religious and lay, single, widows and married- will find in Louise an inspiring model, one who eventually “made it” notwithstanding limitations imposed by birth, by nature and circumstances. After 350 years, Vincent and Louise continue to touch and to inspire generations. The fire of their charity still blazes and ignites many others. Celebrating their death anniversary rekindles this fire in us. It turns the past into a living present that transforms. In their lifetime, Vincent and Louise pursued with relentless passion a dream they believed in… a dream that was like a fire that consumed them. They dreamt of giving themselves completely to following Christ by evangelizing and serving the poor of their time. This dream was like the North Star that guided every decision they made and every step they took. Vincent and Louise, however, were not born with this dream. In fact they had other dreams when they were young… dreams like we all have. But as they tried to realize these early dreams, they were constantly hounded by disappointments, failures, unexpected twists and turns as though an unseen hand was standing in the way of their realization. Gradually, Vincent and Louise discovered the meaning of these events that seemed to turn them away from the fulfilment of their dream. They were in reality God’s mysterious ways of revealing to them their vocation in life. Vincent and Louise were open to this revelation and allowed themselves to be led by the Spirit. Both Vincent and Louise had been tormented by profound doubts of faith for some time… doubts that became veritable “dark nights” for them. But an experience of illumination for Louise and a firm resolve by Vincent to serve the poor changed the course of their lives. From then on, God became their all. They set aside their earlier dreams in order to follow God’s call for them… a call that unfolded through the mediation of events and persons. Having put their hands on the plough, Vincent and Louise never looked back. In an epoch of never ending wars fought for religious and political reasons and of a poverty that defied imagination, Vincent and Louise dared to dream … a seemingly impossible dream. But with Providence guiding and sustaining them, with the remarkable gifts with which nature had generously endowed them and with the blessing of circumstances, the dream of Vincent and Louise slowly took shape…. the Ladies of Charity (today, AIC Association of International Charities), the Congregation of the Mission and the Daughters of Charity. As they pursued their dream with resolute single mindedness, Vincent and Louise were blazing new trails unaware, trails that contributed significantly to renewing the Church and the society in 17th the century in France … and beyond. 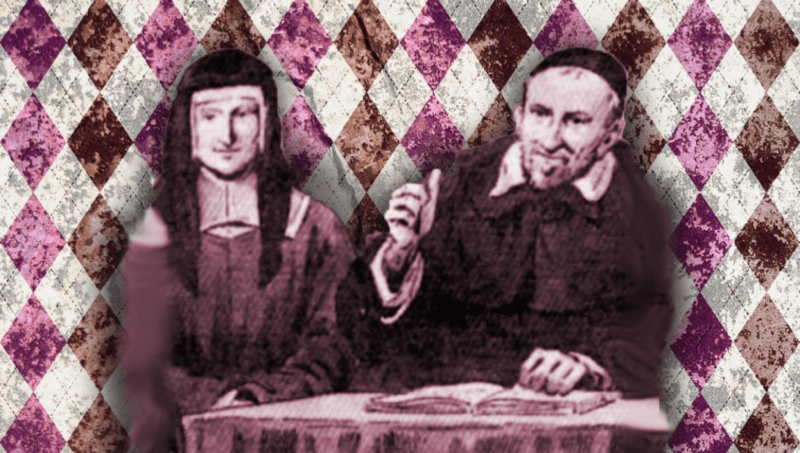 As we remember Vincent and Louise, we are grateful for the charism that God gave to them… a charism that as founders they transmitted to the Vincentian Family as a gift to the Church and to the world. Creative fidelity is the other face of gratitude for the gift of Vincent and Louise. This fidelity sends us back to the origins of the Vincentian story… invites us to read the present in the light of their dream … to reread their dream in the light of today. If Vincent and Louise were in our midst today, how would they read today’s situation in the light of the Christ they wanted to follow? What word would they speak to us? How would they respond to the new situations that confront us today? What choices would they make? Ours is a world radically different in many ways from that of Vincent and Louise. New questions force themselves upon us. In a world that has generated new forms of poverty, new faces of the poor, what and who should be our priorities? Vincent and Louise were constantly attentive to events as “locus” for encountering the Spirit. In a world obsessed with the “instant” and the “super fast”, how do we continue to be truly attentive and discerning? How does today’s consciousness of the profound influence of relationships, social structures and the environment on the human person affect our “service of the whole person”? In the face of a near absolute confidence in technology and science, in efficiency and competence, what is the “more” that our Vincentian service can offer to our contemporaries? Ours is a world that desires to be more inclusive, to go beyond the frontiers of race, culture, ethnicity, class, gender and religion. What does this imply concretely for our works among poor persons … for our practice of collaboration? Our world has grown more and more secularized and turned in on itself… while at the same time concerned about social justice. What challenges does this pose for our Vincentian service, for which faith vision and charity motivation are primordial? We celebrate the death anniversary of Vincent and Louise in the midst of an unprecedented global crisis … moral, cultural, economic and spiritual. How are we to reread the dream of Vincent and Louise in the light of this reality? The People of Israel reread their Covenant with Yahweh from the perspective of the crisis they experienced while in exile. In so doing, they rediscovered the meaning of their identity as People of God. Vincent reread the Gospel from his experience of the poor and the turmoil that threatened to tear apart the society and Church of his time. In this way, he discovered his vocation in life and gave birth to a dream that deeply marked his time. To reflect more deeply on the life stories and the writings of Vincent and Louise… to listen to the questions posed by our time … to allow ourselves to be challenged by them … to search together for some answers is to celebrate well the death anniversary of Vincent and Louise. It is to keep their dream alive. We are heirs of a great legacy… sons and daughters of two great prophets of charity. In this common heritage, we take pride. Our bonds are strengthened. With a vast membership in all the continents, we as Vincentian Family have a great potential for making a difference in our time as Vincent and Louise did in theirs. A story is told of a young man, the son of a star baseball player. His first season playing was very disappointing. In his second season, he was doing so badly that he was certain he was going to be dropped from the team. We have the “genes” of Vincent and Louise. We have their heart and their spirit. Fidelity to their legacy urges us to forge ahead together… to be prophets of charity in today’s world. Today’s global reality e.g. the dominance by giant transnational corporations, mergers and conglomerates calls for collective witnessing. It challenges us to become, not simply individual prophets, but a “family of prophets”. In an era when injustice has assumed a global dimension, the dream of Vincent and Louise impels us to form networks of charity among the Vincentian Family. Networks of charity attentive to events and to the poor, inventive and audacious in their responses manifest the perennial newness of the Vincentian charism. They create ripples of hope for the future. For us, Vincentian Family, this celebration of the 350th death anniversary of Vincent and Louise is indeed a time of grace, a propitious moment to “sink deep our roots in charity and spread wide our branches in mission” … to be prophetic and to generate hope. Let us take hold of it. How has the story of Vincent or Louise influenced your life in the concrete? Which challenge posed by our contemporary world to our Vincentian service of the poor is of greatest concern to you? Why? What steps can we take as Vincentian Family to address this challenge? the Vincentian Family worldwide so that the dream of Vincent and Louise be kept alive?